Welcome to the legal profession ladies... you have signed your life away to days in patent leather heels and pencil skirts. Personally, I love getting dressed up. I grew up on a farm so there a part of me that still gets downright giddy to get dressed up in something other than jeans. Now I get dressed up every day... I am interning in the courthouse for the summer so it's blazers and heels for me day in day out. Fun right? Yes. Expensive? Also yes. I have been stocking up on "lawyer" clothes for a long time. I worked at TJ Maxx all through college and I shopped the sale racks like it was my job for dressy pieces to put into my lawyer wardrobe. The last two Christmases I have asked for shopping trips with my momma for legal clothes. Yet, I still was running out of clothing options by week two of my internship. I am working unpaid this summer and getting class credit. My husband and I are saving up for a vacation and have plenty of bills to pay. There was no spare money for me to go drop a few hundred dollars on fancy dress clothes... it was time to get creative. I have always been a resourceful shopper- I have no qualms about thrifting for quality pieces or picking up a cute shirt at Walmart. I wear what I like and I find cute no matter the brand. Now I am a typical girl and I like to wear good brands but I have never had the budget to buy everything brand new and the top brand. I will never forget desperately wanting a Vera Bradley purse for my freshman year of high school... my mom said it wasn't in the budget to buy the one I wanted brand new since they were putting my older sister through college that year. She gave me a $20 budget for a new purse. I was determined to get a Vera so I got resourceful- I found the purse I wanted in the pattern I wanted on Ebay for $15 with a matching wallet and with shipping in came in right about $20. I got to waltz into my first day of school with my precious Vera and I learned a valuable lesson about budgeting and making the most of a little bit of money and still having quality. Sometimes you just have to think outside the box! That's a lesson I have never forgotten and something I do to this day. Whenever people compliment my clothes, I love to surprise them by saying this was $5 at Walmart or I found in at Goodwill for $3. Sometimes I buy items with small rips or missing a button- I know how to sew and can fix those things easily and quickly with a needle and thread. I once got a $600 Juicy Couture Dress for $20 because it was missing a button... $0.99 button from Hobby Lobby and 5 minutes of sewing left me with the most gorgeous dress at a steal of a price. That is not to say I never splurge- I adore my Michael Kors purse that I bought with my first paycheck from TJ Maxx. I have a weakness for J. Crew and Vineyard Vines and I will always pay the prices just for the name. A few months ago someone had mentioned Poshmark to me as a way to sell off an old pair of Jack Rogers sandals that no longer fit. I had downloaded the app and sold my sandals but I never thought anything more about it until I was struggling to find clothes to wear for this summer in the courthouse. I decided to open the app back up and take a look at some of the dress clothes. I know my sizes pretty well in a variety of brands so I figured why not. GAME CHANGER! 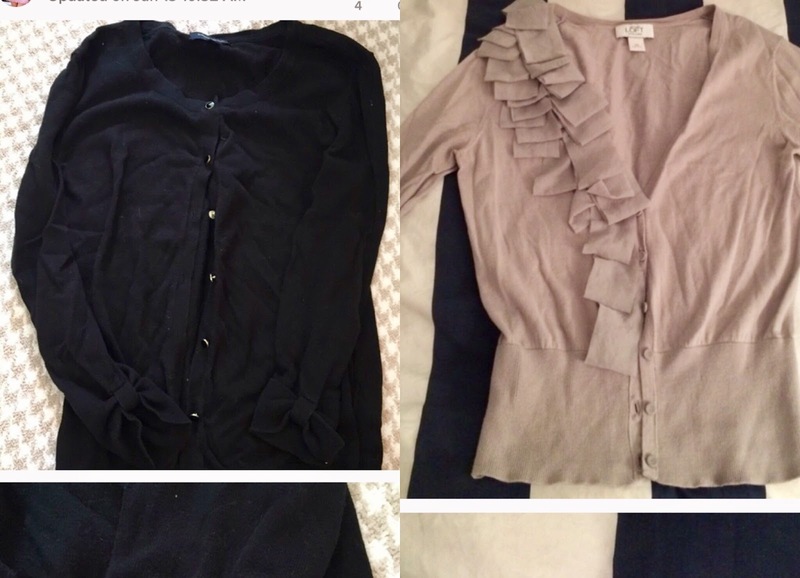 I started searching on Poshmark and I found so many GREAT items. Here is my $10 Banana Republic Suit in lovely condition. Here is a Maggie London Sheath Dress I picked up for $18. Issa? As in the brand Kate Middleton wore for her engagement? In my favorite color green? $23. Kasper Blazer for $5? Yes please. Pair it with a $10 Banana Repulic Skirt? Gorgeous! Navy Banana Republic Blazer and Harve Benard Skirt for $16? Two simple cardigans for the chilly office? $12? Did I mention the brands were Banana Republic and Ann Taylor Loft? No complaints here! Can you believe those deals??? And everything has been excellent quality! I feel like I have spent so little money for the quality and quantity of items I am finding! Buying is so easy. Link a paypal account and when you find something you want, you can buy outright or offer a lower price and negotiate back and forth with the seller. You do have to pay for shipping but it is not expensive and sometimes there are even shipping deals. Also, if you find a seller that had a lot of items you like, you can bundle them all together and most sellers offer a discount % on bundles as well as you only pay one shipping fee. It's fantastic! Additionally, I am selling some of my older clothes I don't wear anymore here to offset the cost. Selling on Poshmark is so simple- take pictures, list it and once it is purchased, they send you a prepaid shipping label to tape onto a box and drop at the post office. Just that simple! Also, if anything you buy doesn't fit or isn't what you want, just resell it right back on poshmark! Seriously- all you legal ladies on a budget, this app is so worth the download and a little bit of search time. Someday we will be rockstar lady lawyers who can walk in any store and buy whatever we want but that day is not today. Today, we need to look like those future lawyers without blowing every cent in our bank accounts. 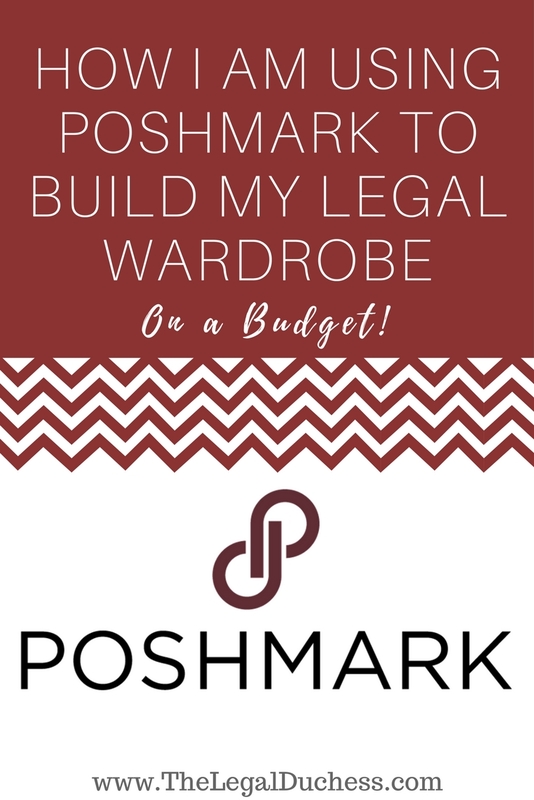 Poshmark is helping me do that! Want to sign up and receive $5 to spend right away in your posh-wallet? Sign up with my code: UQNBO!